Error handling is a very important topic and I’ve written already a blog post about that topic. You can also check out my talk about that topic on the Swift Summit in San Francisco. In this post we will discuss when you should use try!. However, there is one situation when you don’t have to catch the error. However, if the function does throw an error, you will have a runtime exception. That’s the case in our example because our test function always throws an error. let sourcePath = Bundle.main.path(forResource: "text", ofType: "txt")! let destinationPath = NSSearchPathForDirectoriesInDomains(FileManager.SearchPathDirectory.cachesDirectory, .userDomainMask, true).first! + "/text.txt"
The only way that this could go wrong is that we’ve forgotten to put the file inside the app bundle or because of a typo. But then the app would crash at development time and we could fix it. 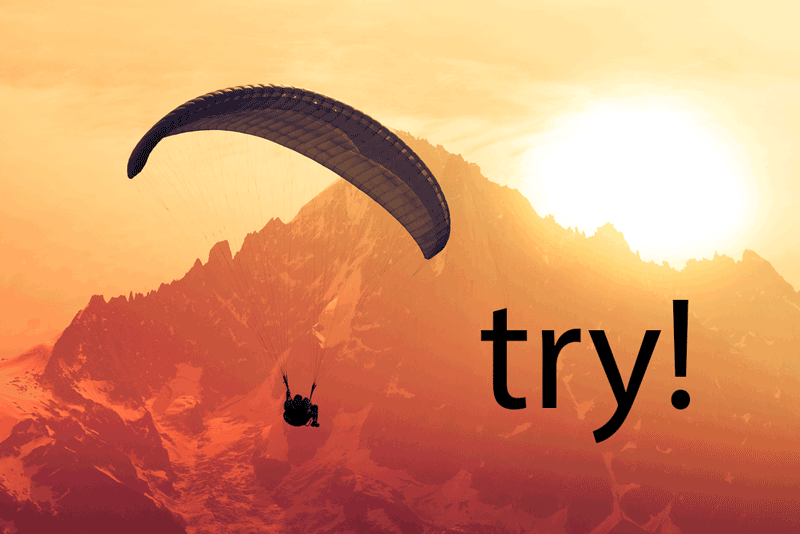 To summarise it, you can use try! if there’s no chance that there will be an error at production time. Additionally, by using try! you can easily check at development time whether everything is working fine because the app will crash immediately when you are testing the app. But generally speaking, you should only use it when you are very sure what you are doing! And in most cases you should use the normal try - catch way.